V/F free setting, constant torque, and reduced torque of V/F control. I/O terminal condition, input power, output voltage. accel/decel curve selection, manual torque boost value and frequency adjustment, analog meter tuning, start frequency setting, carrier frequency setting, electronic thermal free-setting, external frequency output zero/span reference, external frequency input bias start/end, alalog input selection, retry after trip, restart after instantaneous power failure, various signal outputs, reduced voltage start, overload restriction, automatic energy saving. 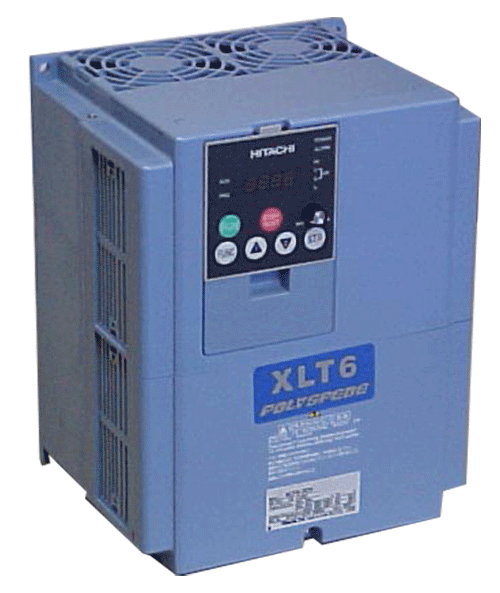 With its Automatic Energy-saving Function, the XKT6 delivers “real-time” energy-saving operation for your fan and pump applications. The function insures that motor operates at minimum current in response to the torque required by the load. Three relay output terminals are provided as standard for flexible interface to external control systems. The L300P features an intelligent control terminal system, which allows necessary drive 1/0 functions to be freely programmed. Input terminals can be selected for either sink or source type logic. 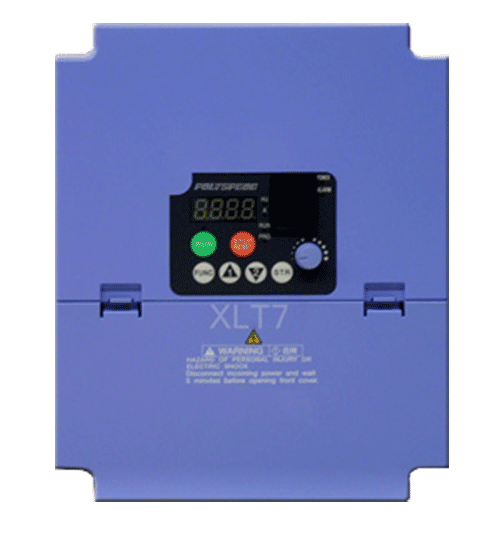 The L300P’s operator panel supports various monitoring functions. Cooling fan(s) and DC bus capacitors can be easily changed in the field. A fan ON/OFF function can be activated to provide longer cooling fan life. Eliminates control rewiring when field replacing. Setting available for constant torque, reduced torque. The braking torque at capacitive feedback is the average deceleration torque at the shortest deceleration (stoppage from 50/60 Hz) of the motor itself. It is not the continuous regenerative braking torque. And the average deceleration torque varies with motor loss. This value decreases when operating beyond 50/60 Hz. If a large regeneration torque is required, the optional braking resistor should be used. FW (Forward run command), RV (reverse run command, CF1~CF4 (multi-stage speed setting), JG (jogging command), 2CH (2-stage acceleration/deceleration command), FRS (free run stop command), EXT (external trip), USP (USP function), SFT (soft lock), AT (analog current input select signal), RS (reset), PTC (thermal protection). Overcurrent, overvoltage, undervoltage, overload, extreme high/low temperature, CPU error, memory error, ground fault detection at startup, internal communication error.